An exclusive guide for women in business to gain more confidence and control as they progress on their career journey. By sharing my story, and specific actionable takeaways, I hope that individuals will continue their career journey with confidence utilizing these strategies to manage their careers more effectively. Elyse Flynn Meyer, Owner & Founder of Prism Global Marketing Solutions recently co-authored the book, “The Female Factor: A Confidence Guide for Women.” Her section of the book focuses on 6 key strategies she has found very helpful in managing her career, including ideas and personal stories specifically for early-stage women in business (1-10 years of experience). “I was compelled to be a co-author in this book because I feel that early-stage women in the workforce need to understand what to do early in their career to avoid challenges as they progress. By sharing my story, and specific actionable takeaways, I hope that individuals will continue their journey with confidence utilizing these strategies to manage their careers more effectively,” says Elyse Flynn Meyer. 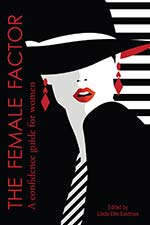 The book, “The Female Factor: A Confidence Guide for Women,” is designed for women internationally to embrace their unique qualities such as: empathy, compassion, genuine leadership, listening skills, collaboration, and communication. The purpose is to provide women with the information they need to feel confident in both their professional and personal roles. Other co-authors of this book include: coaches, consultants, psychologists, educators, and business leaders. Specifically, another co-author of the book is Joanne Flynn, Elyse Flynn Meyer's mother. Her chapter entitled, “Spanning Generations as We Journey Ahead,” focuses on the issues of women in the workforce over the past 50 years, looking at what has changed, what has not, and what women can do to move their careers forward.